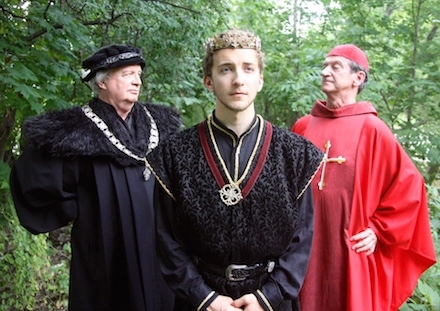 Henry VI: A Tiger's Heart had a great opening last night! Here's a final "Who's Who" of the key characters in the show. 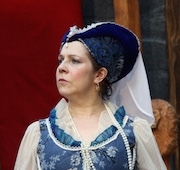 Queen Margaret starts out as Margaret of Anjou. 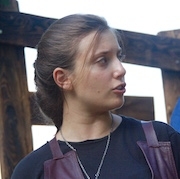 She is the daughter of Reignier, the Duke of Anjou, a French nobleman and advisor to Charles, the Dauphin and future king of France. In addition to being Duke of Anjou, Reignier has inherited the titles of King of Naples, Sicily, and Jerusalem — which sounds impressive, but his titles there were contested and he had little actual control of those areas. More importantly, Reignier was not wealthy (by the standards of a medieval French nobleman, at least), and so could not provide a large dowry for the marriage of his daughter, Margaret. Margaret's life changes when the English try to recapture their territories in France. She is captured by the Duke of Suffolk, who becomes immediately infatuated with her. 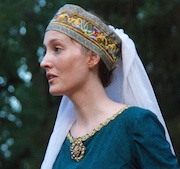 Since Suffolk is already married, he offers to arrange for her to marry the young King Henry VI. Suffolk convinces Henry to marry Margaret, and so the poor Duke's daughter becomes the Queen of England. Prince Edward is the only son of Henry VI (presumably) and Queen Margaret. As such, he is the heir to the throne as long as Henry VI is king — until Henry makes an agreement with Richard Plantagenet, Duke of York, that would allow the crown to pass to York after Henry's death. This agreement strips Prince Edward of his right to inherit the throne. 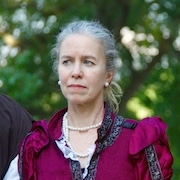 Henry agrees to the arrangement with York in order to stop the civil war that was killing so many Englishmen, but it infuriates Queen Margaret, and she refuses to honor it. Eleanor Cobham, Duchess of Gloucester, is the wife of Humphrey, Duke of Gloucester. 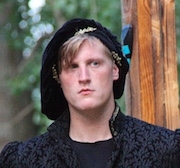 Humphrey is the uncle and Protector to King Henry VI, and would be the next in line for the English throne if anything were to happen to Henry. That makes Eleanor, as Humphrey says, "second woman of the realm" — second only to Queen Margaret. 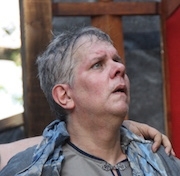 Sir Thomas Clifford and his son, Young Clifford, are much lower in rank than most other members of the nobility in this play. 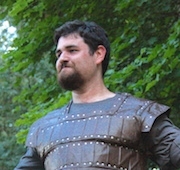 Sir Thomas is a baron, which ranks him below all the Dukes and Earls around him. Clifford, however, is a strong military commander, so the Cliffords are brought in when the Lancasters need some extra muscle — first to deal with the Jack Cade rebellion, and then for the first round of civil wars between the houses of Lancaster and York. They are loyal Lancastrians who serve King Henry and Queen Margaret, who is the true leader in the fight against the Yorks. 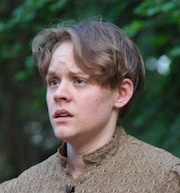 Edmund Mortimer has been an important figure in several of the plays in this sequence. The Mortimers married into the line of Lionel, Duke of Clarence, the second son of Edward III. As a result, Edmund Mortimer was declared the official heir to the throne by Richard II, who had no children. Mortimer's claim, though, went out the window when Henry Bolingbroke — descended from the third son of Edward III, John of Gaunt — deposed Richard and made himself King Henry IV. The rebellions by Hotspur and Owen Glendower that broke out against Henry IV's rule were aimed at putting Mortimer on the throne, since one of Mortimer's sisters, Kate, was married to Hotspur, and Mortimer himself married Glendower's daughter. That rebellion failed, however, and Mortimer was imprisoned in the Tower. Louis XI is the son of Charles VII, and becomes king of France after his father. Louis is the king of France during the height of the civil war between York and Lancaster, and plays a key role in the Wars of the Roses. When the house of York captures Henry VI and the Duke of York's oldest son, Edward, is made Edward IV, the Earl of Warwick travels to France to arrange a marriage between Edward and Louis' sister, Lady Bona. But when news arrives that Edward has impulsively married Elizabeth Woodville instead, both Louis and Warwick are insulted and throw their support behind Queen Margaret and the house of Lancaster instead. This summer, we'll be pairing the next-to-last installment in our history series with one of Shakespeare's richest and best-loved romantic comedies. All performances at Allan H. Treman State Marine Park, on Route 89 behind the Hangar Theatre. Ushers are still needed for a number of performances. 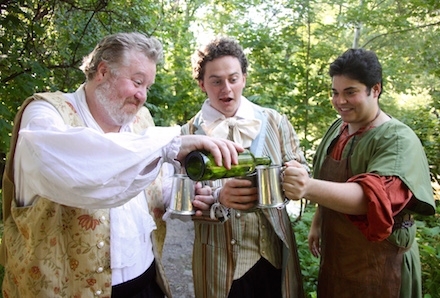 See one or both summer shows for free! Sign up to be an usher here.